Boxing and athletics could not seem any further apart as spectator sports, but there are a number of surprising similarities between them, and it’s for that reason that an increasing number of professional and amateur boxers are incorporating track work into their training routines. 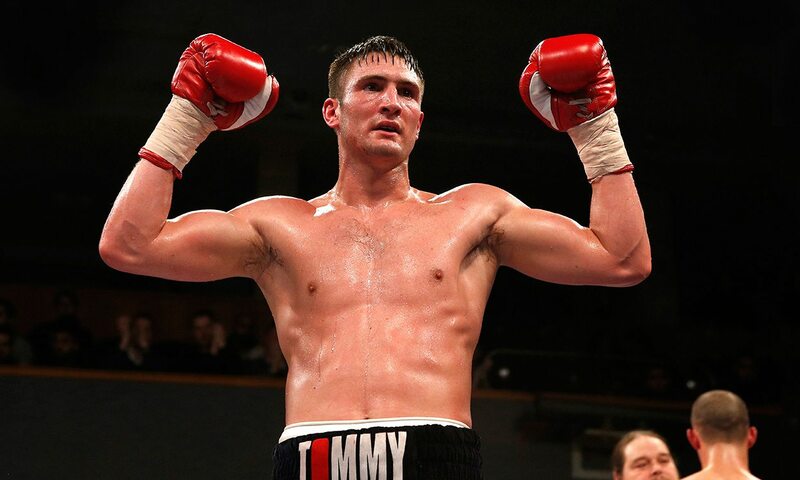 Commonwealth middleweight champion and WBO ranked No.2 Tommy Langford is currently preparing for the biggest fight of his four-year-long professional boxing career, against English title contender Sam Sheedy on November 26 in Cardiff for the prestigious British title. The 27-year-old from Birmingham, who is signed to Hall of Famer Frank Warren, explains how running has helped his main sport. “Although boxing and track athletics do not seem to be close together in the parameters of sport, in terms of timings and the aerobic and anaerobic systems used, they are actually very similar. “You have to be fit for every round of your fight and to be able to go up in gears during the rounds when you need to pile on the pressure. The track work that I do is designed to create fitness and sharpness, and helps with explosiveness in reactions and movement. “The standard track workout for me is 12x800m with 30 seconds rest. My aim is to consistently beat 2:40 for all 12 ‘rounds’. So, I aim to run 800m in under 2:40, but I vary the pace so that it replicates a round of boxing, so I want to be able to go up or down in the gears to be able to hit that target every time. “My trainer, Tom Chaney, varies the distances so I’m constantly changing from 800m to 200m to 400m, and so on. I might be told to blast a 200m sprint then go back to a steady 800m run next to keep the body guessing and the system working at different levels. If I’m slipping away from the target time I set by, say, the 10th round of running, then I have to dig deep and really put it in to make the 11th round. “My PB for 800m is actually 2:05 and my fastest mile is 4:20. I think, for a boxer, that is quite impressive, but I’m not sure how that compares to professional athletes! “On the subject of comparisons, an 800m runner is not too dissimilar in body shape and tone to a professional boxer, proving my earlier claim that the dynamics of the two sports are not a million miles apart. “Recovery is also vitally important to the training that I do. I have to be able to use my short 30 seconds rest to be able to recover in time to then go again. “Track work gives a good indication of where you are in getting close to fight fitness. When you’re smashing your PB every time then you know you’re ready to fight! It gives you confidence, too, knowing that you can do those times and the rounds ahead of you; it makes you mentally ready for war. “I have historically always been good at middle-distance running. My best races when I was in school were the 1500m and 3000m. I competed regularly at county level and was lucky to always possess a natural engine. I’m good at running at a high speed and sustaining it, but I’m definitely not a sprinter like the 100m runners! “I have always religiously incorporated road work into my training, which is usually long distance, steady-pace running for 45 minutes to an hour, designed for weight loss. However, I have not always incorporated the athletics side into my training, I must admit. I remember reading that Sugar Ray Leonard used to do track work as an amateur to prepare for the Olympics and I was inspired to do the same. “My stamina is superb anyway, but I have gradually become known in the industry for being a boxer with a very high workrate and a relentless style. I am not blessed with one-punch KO power like Mike Tyson, so I have to break my opponents down until they can take no more. “The initial track work during the first part of my training camp was designed perfectly towards the style of my original opponent – Chris Eubank Jr.
“As he works in spurts, the track work was designed to enable me to handle the higher pace and increased workrate at various points during the rounds. However, Eubank withdrew from our fight with injury, and Sam Sheedy – an awkward southpaw from Sheffield – stepped in to take his place. “I started the training camp way back in September and did my track work three times per week, but when I started the sparring sessions properly then that reduced to twice per week, and closer to the fight, I tapered it down to just once per week, but for a longer session. “I’m now feeling the benefits of all of that hard graft that I’ve put in on the track, and I hope that I have offered a glimpse into the work that goes in behind the scenes way before I lace up those gloves on fight night. “The training camp is all complete now and the countless hours spent pounding the track is all in the bank for the most important fight of my career for the biggest prize in British boxing.